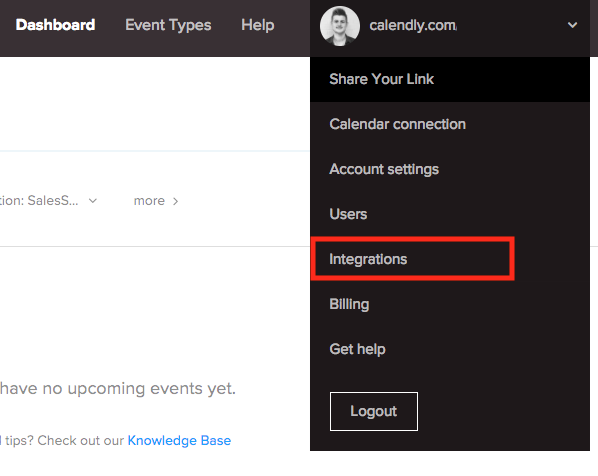 What does the Calendly Integration do? 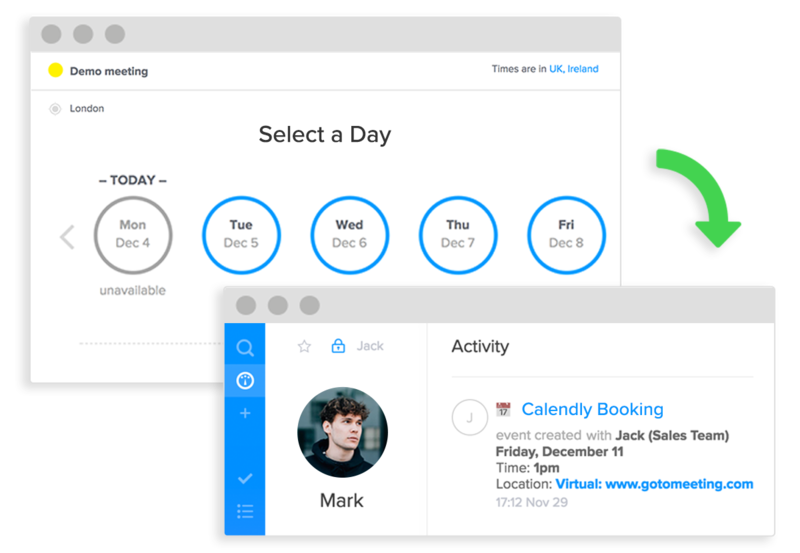 When someone schedules a meeting with you via Calendly, SalesSeek will automatically add a record of this booking to the activity feed of the individual that made the booking. If the individual does not currently exist in SalesSeek, they will be automatically created. If you have setup your Event in Calendly to automatically setup a conference call for you, the link to start this conference call will be added to the activity note. This allows you to start the call right from SalesSeek. To connect your Calendly account to SalesSeek, please get in contact with SalesSeek support using the chat button in-app. You'll need to provide your Calendly API Key. You can get this by logging into Calendly, when on your Dashboard click the menu dropdown at the top right. Then choose Integrations. 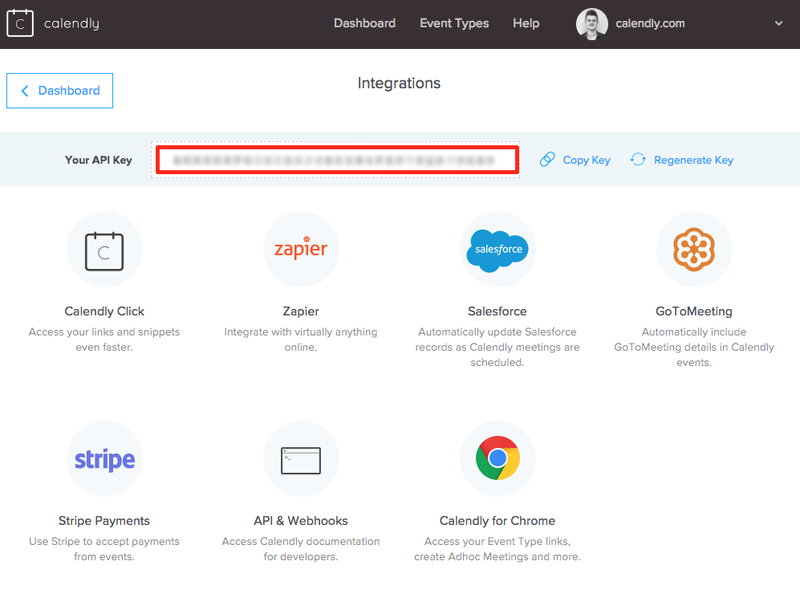 When on the integrations page, copy your API Key and provide this to SalesSeek support. Once we have your API, we can setup the integration for you. 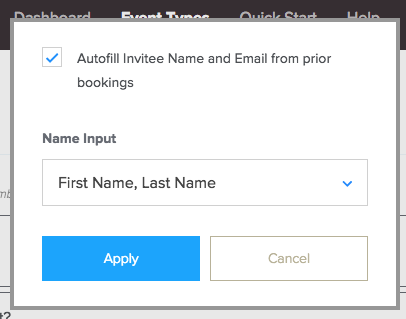 To allow SalesSeek to match up the person who has booked an event with you to the correct record in SalesSeek, you should ensure that you configure your booking forms to collect First Name and Last Name as a separate field, rather than a single Full Name field. 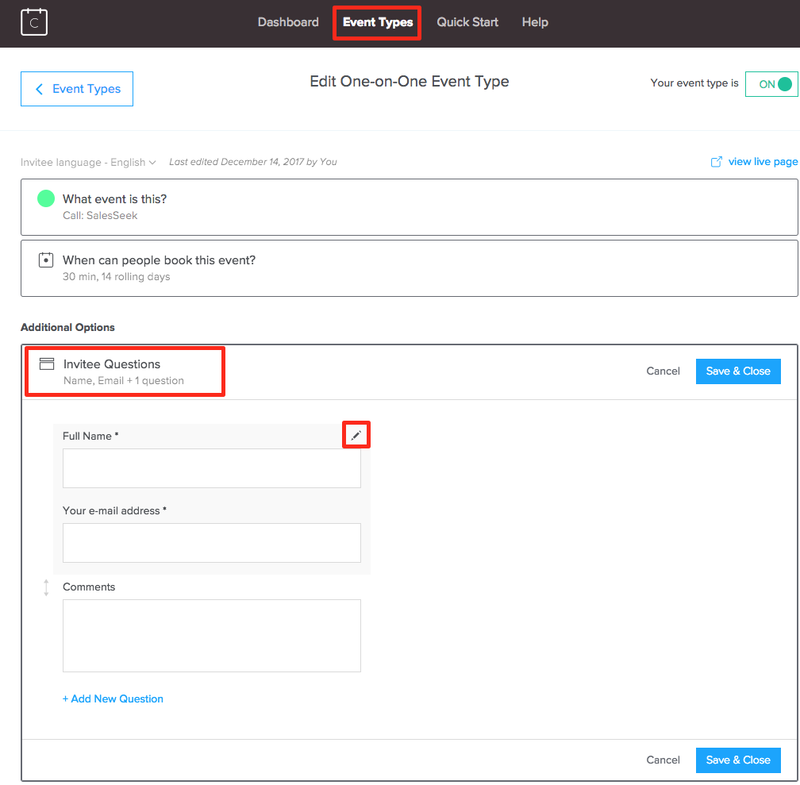 To change this configuration, go to Event Types in Calendly, and choose an event. Now go to Invitee Questions and click the edit icon next to the Full Name field. A popup will appear, you should choose First Name, Last Name as the option, and then save the settings.